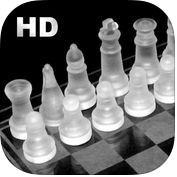 If you are looking amazing, 2D as well as 3D powerful chess games with quality rich graphics and wonderful animations for your iPhone and iPad , you should check out this chess playing iOS apps list. Here, you can see 9 best chess playing apps for iPhone and iPad. 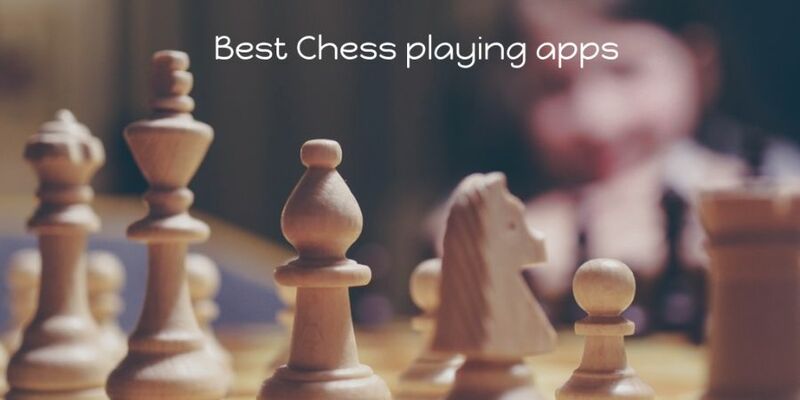 Although, there are hundreds of popular chess games available on Apps Store for iPhone and iPad, but we've here listed only the best chess playing games for your iOS devices. 1. Ultimate Chess - Learn, Play and Friends Online ( iPhone + iPad ) :- If you looking a good chess playing and learning app for your iPhone and iPad, you can use Ultimate Chess- Learn, Play and Friends Online app. With the help of this chess playing app, you can use built-in coach to monitor your progress, you can start/ off at a very low ELO and work way more than 100 levels, you can take back a move if you change your mind and, You can save and load game on your iPhone and iPad. Ultimate Chess app has lots of unique and user-friendly features such as simple intuitive uncluttered interface that lets you concentrate on your game, plays interesting and sometimes quite aggressive chess, thought analysis, fantastic sound effects, autosaving of your current game and more. 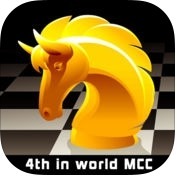 If you are looking for a professional quality powerful chess app for iPhone and iPad, this app is for you. 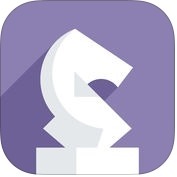 2. t Chess Pro ( iPhone + iPad ) :- Do you want to be an expert in playing chess game? 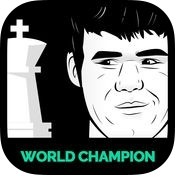 If yes, you can use t Chess Pro app on your iPhone and iPad. 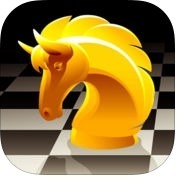 It is one of best and professional chess playing apps for iPhone and iPad. This chess playing app has several amazing and user-interface features such as strong computer opponent, start/ off at a very low ELO and work way more than 500 levels, opening library, PGN database lets you download and view PGN files, support for 3 stage time controls, save and load games, position editor to enter positions from books newspapers etc and more. 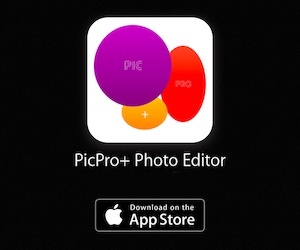 You can also export saved games in standard PGN format on your iPhone and iPad. 3. Chess Genius ( iPhone + iPad ) :- Chess Genius app is one of best, powerful and fast chess playing apps for your iPhone and iPad. With the help of chess playing app, you can play chess simply and easily as a chessmaster, you can save or load games n PGN format, you can also import and export of PGN database files easily on your iPhone and iPad. Chess Genius app has a lot of compact and elegant user interface features such as unlimited take back & step forward, more than 100 playing levels, work in portrait and landscape, optional display of captured pieces and count of positions searched and many more. 4. 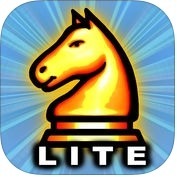 Chess Lite - with coach ( iPhone + iPad ) :- Do you want to learn chess playing and become a professional chess master? If yes, you can use Chess Lite- with coach app on your iPhone and iPad. With the help of this chess playing app, you can play with or without a trainer, you can play against the computer or against a friend on the same device, you can take back your move in case of mistake, you can play without the coach and get a hint on demand, when you really need one. Chess Lite app has lots of effective and user-friendly features such as more than 20 levels of difficulty from beginner 100 ELO up to club player 1300 ELO, stunning HD graphics, realistic and amazing sounds, more than 100 historical games, learn effortlessly, and more. 5. 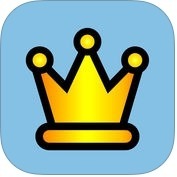 Chess Premium ( iPhone ) :- With the help of this chess playing app, you can learn to play chess effortlessly and easily. Chess Premium is one of the best and great designed chess playing game apps for iPhone. This chess playing app has several amazing and unique features such as great graphics with exciting sounds, score tracking & configurable player names, undo function if you hit the mistake, automatically saves your game and more. 6. Play Magnus - Chess ( iPhone + iPad ) :- If you want to increase chess playing skill of your kids, you should download Play Maqnus-Chess app on your iPhone and iPad. With the help of this chess playing game app, you can make your kid a super grandmaster. Play Maqnus app has lots of functionally and exciting features such as effective chess training, fantastic and exclusive video content, sharing functions and many more. 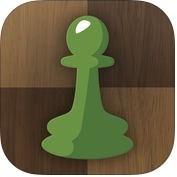 This is one of the best chess playing apps that are available for iOS devices. 7. Tall Chess – Best Chess for iPhone ( iPhone ) :- Tall Chess app is one of the best and exclusive designed chess playing apps for iPhone. With the help of this chess playing app, you can challenge your friends or play an adjustable computer opponent, you can play with amazing pieces and boards, you can view your last move or the entire game with the swipe of a finger tap and, You can also export your games in algebraic notation on your iPhone. 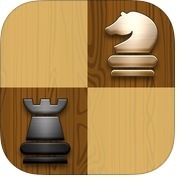 If you are looking for a free and accurate chess playing app for your iPhone, you should try Tall Chess. 8. Chess Pro with Coach - Learn,Play & Friends Online ( iPhone + iPad ) :- If you want to be a grandmaster, you should use Chess Pro with Coach- Learn, Play & Friends Online app on your iPhone and iPad. With the help of this chess playing app, you can take back a move if you change your mind, you can play Rated or Training mode, you can play interesting and sometimes quite aggressive chess and, You can also save and load games on your iPhone and iPad. Chess Pro with Coach app has several amazing and exciting features such as built in coach to monitor your progress, training mode to improve your game, thought analysis, setup position, ELO rating system, realistic and fantastic sound effects, auto saving and more. 9. Chess - Play & Learn ( iPhone + iPad + Apple Watch ) :- If you want to improve your chess skill power easily and quickly, you should download Chess-Play & Learn app on your iPhone, iPad and Apple Watch. With the help of this chess playing app, you can play real-time blitz or daily correspondence chess, you can challenge your friends and chat with opponents, you can analyze your game to learn what went wrong and, You can also learn chess with the help of more than thousands of videos and interactive lessons from top Grandmasters on your iPhone, iPad and Apple Watch. Chess-Play & Learn app has lots of user-friendly features such as Interactive tutorials with helpful tips and highlights, adjust the strength of computer, more than 20 gorgeous themes for boards, pieces & background, detailed performance stats and ratings and more.